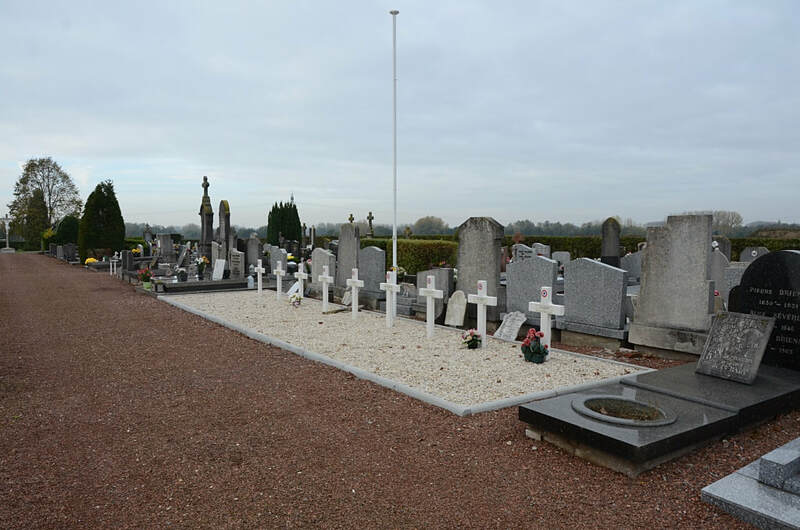 Genech is a village a few kilometres south of Lille. 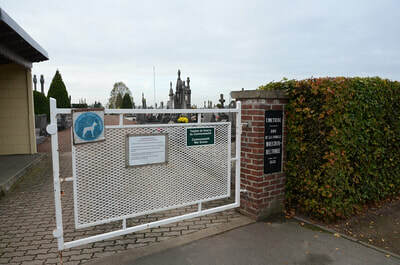 The cemetery is North-West of the village on the D145. 1562 Gunner H. Baker, 73rd Siege Bty. 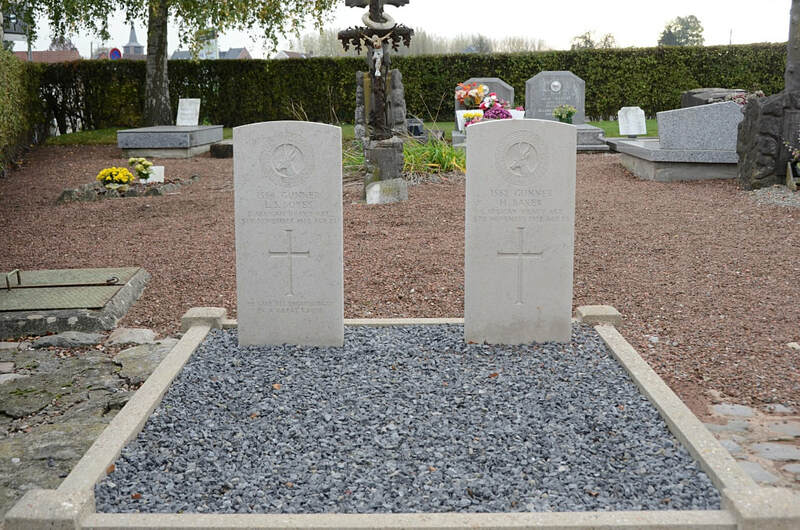 South African Heavy Artillery, died 5th November 1918, aged 23. 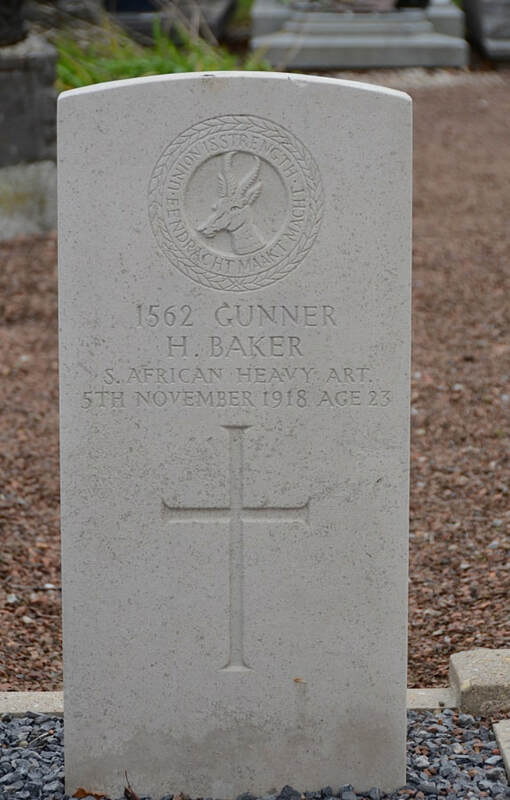 Son of Mrs. E. Baker, of Witbank, Transvaal. 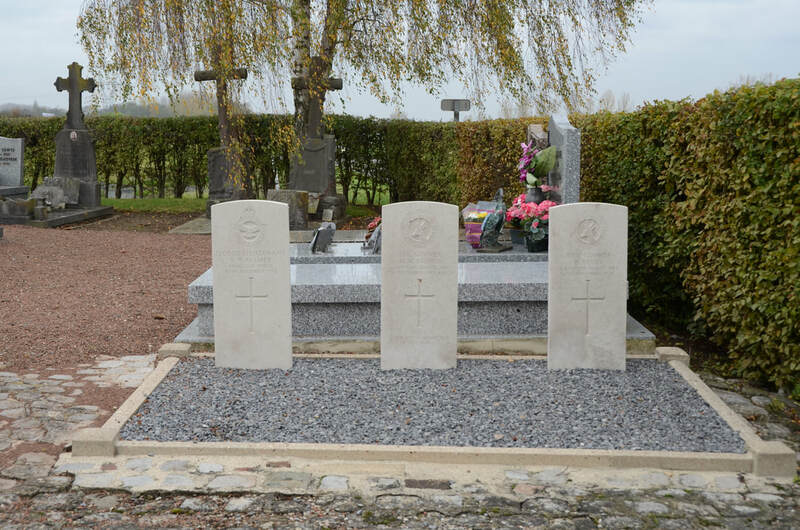 1564 Gunner Leonard Spooner Boyes, 73rd Siege Bty. South African Heavy Artillery, died 5th November 1918, aged 23. Son of Andrew and Jessie Boyes, of Johannesburg. 668 Gunner Murdock Morison Brown, 73rd Siege Bty. South African Heavy Artillery, died 6th November 1918, aged 26. 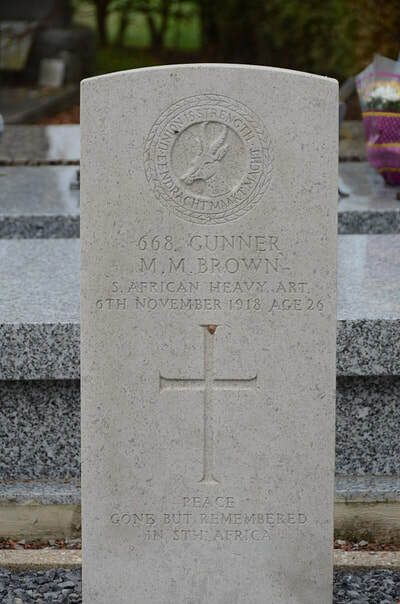 Son of Albert Clark Thomas and Anne Catherine Brown (nee Morison), of Newlands, near Cape Town. 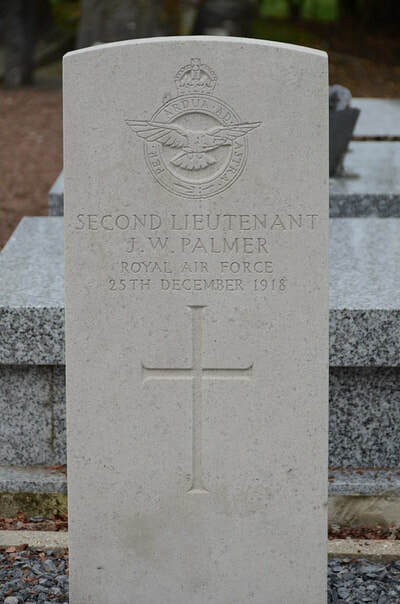 Second Lieutenant J. W. Palmer, 2nd Squadron, Royal Air Force, died 25th December 1918. 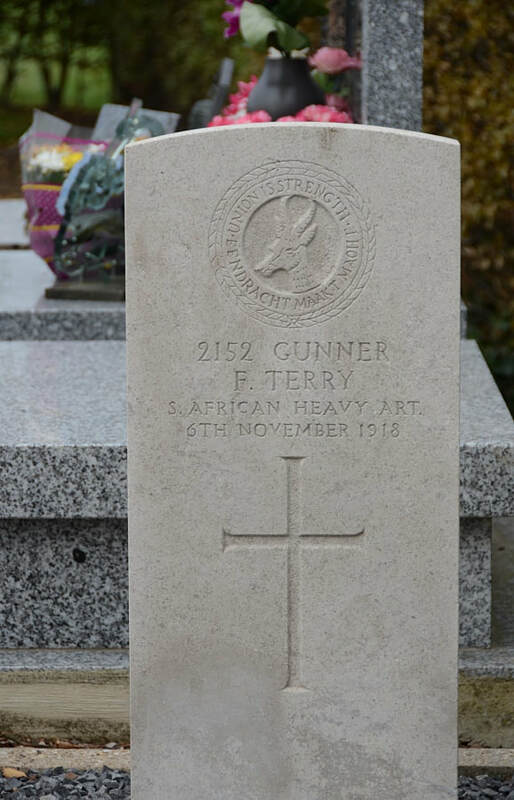 2152 Gunner F. Terry, 73rd Siege Bty. 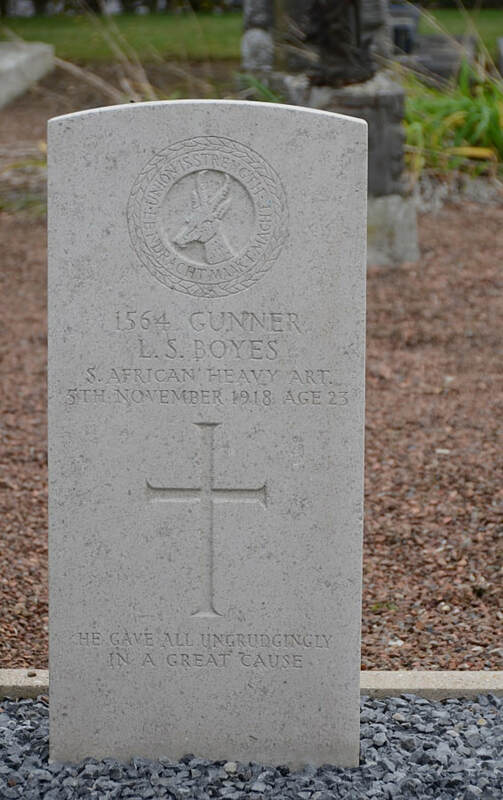 South African Heavy Artillery, died 6th November 1918.